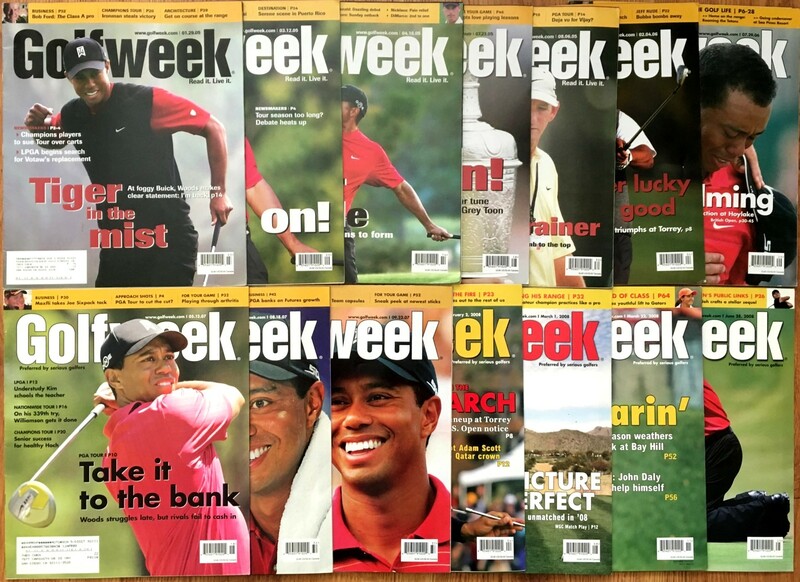 Lot of 14 different 2005 through 2008 issues of Golfweek magazine featuring Tiger Woods on the cover, all from their oversized 10x12 inch era. Magazines have subscription address and typical flaws and wear, nothing major. ONLY ONE LOT AVAILABLE FOR SALE.